A paper I presented in 2008. In this presentation I want to compare two pictures of caravan parks and their residents (especially families). One picture is created by focusing on the deficits or problems we can find in caravan parks. The other is created by focusing on the assets or strengths of caravan parks. The Caravan Project has found that we can achieve more when we build on the strengths of caravan parks, and so I will conclude the paper by suggesting some principles of practice that grew from this approach. have few, or no, other options: they may have been blacklisted from other housing, may not be able to afford the bond and rent in advance, may not have a strong rental history or they may be homeless (Wensing, Holloway, & Wood, 2003). People who live in caravan parks as a last resort are a significant and often vulnerable group in the community and it’s these people that I am particularly interested in. 21% of the families with children had had contact with the Department of Community Services in the past 12 months. (Stuart, 2005). The survey also identified that residents were much more transient than the general population (see figure 1). Fifty two percent of the residents had been living at the same address for less than one year earlier compared to 20% of the Hunter population in the 2006 Census and only 15% were living at the same address as five years ago compared to 53% in the Census. Interestingly the survey found that most participants said they were satisfied or very satisfied with their current living arrangements and only 23% were not satisfied (see table 1). It should be noted that 13% of the residents were satisfied because a caravan was better than the available alternatives. As you can see, people who lived with children were generally less satisfied than those who did not live with children. There are numerous other research reports that have highlighted the challenges of living in caravan parks. I want to discuss two briefly. Hunt and Wegenar (2005) interviewed ten families living in Melbourne caravan parks as crisis housing. All of the families had moved in the past 12 months, with eight of them moving between three and six times and nobody in the families was employed full time, although three of the 14 adults had casual or part-time work. parks are often on highways that are dangerous for pedestrians and are located away from services that families are likely to access (p. 2). “Where else can we go?” (p. 37). “The feeling of community has vanished” (p. 41). “These sort of people” (p. 44). “People look out for one another” (p. 45). “A hopeless situation?” (p. 48). “People feel they’ve been forgotten” (p. 53). Understandabley, Hunt and Wegenar (2005) reported residents felt stigmatised. As one resident commented, “I’m not trailer trash, that’s what they call you if you live in a trailer, you’re trailer trash…. We don’t want to be labelled” (p. 25). I’m not suggesting that this research is wrong but I do believe it is only part of the picture. There is a danger that when researchers and service providers focus on the negative aspects of park life they can contribute to further stigmatisation and a reliance on professionals to help fix the problems. The Caravan Project adopts a strength based approach and as such we try to recognise the strengths of caravan parks and to build on these strengths. Our research, whilst recognising challenges and problems in caravan park communities, focuses on how we can build on the strengths of park communities. Stories of success was a series of interviews we conducted with 11 residents from six different caravan parks who had moved in to a park as a last resort. They had moved into the park for a variety of reasons including relationship breakdown, being evicted or moving to be close to family. These interviews identified some of the challenges of park life, but more importantly highlighted some of the strengths of caravan parks and ways in which residents make the most of their situation. The most common strength of caravan parks identified was the sense of community residents experienced. The sense of community had two main aspects: the first was friendship. I really wanted a house, but I love living here, everyone is so friendly, you can sit on your veranda and everyone says hello when they walk past. (Kathy, who moved into the park with her family 20 years ago). The second aspect of a sense of community was the support they received from other residents. I’ve made some really good friends, really good friends that I know that I can trust that are always there for me if I need a shoulder to cry on, or something to lend or borrow or even just a lift down town to get to work if my car is broken…. If I need something moved they will help me move it, if I need something done they will do it for me. You know, it’s a good friendly environment here. You do have idiots (Alison, a 23 year old living in the park with her partner and six year old daughter). Some residents appreciated the safety they experienced on the park. I never feel frightened. Because people hear everything, I can go away on the weekend and come back and pretty much know that everything will be in order (Gay, who had lived in many park with her family). Women who have escaped domestic violence sometimes report feeling much safer in a caravan park because they know that there are other people around and that it is harder for their ex-partner to get them. One women reported that she felt quite trapped in an apartment whereas in the caravan park she felt there were other residents to keep an eye out for her. For some residents the setting or location was an attraction. It is a good spot, its not like living in a brand new house but it is an excellent location, I have cattle there, I’ve got horses, quiet surroundings, across the road is a twenty four hour service station for ice creams, cigarettes, chips and coke which is pretty good. (Luke, a 37 year old single male). I’m central to my family and my doctors and if I want to go anywhere it’s not far to go. (Wendy, an older woman who’s family had grown up). In some of the caravan parks, the residents spoke about the difference a good park manager made and how they appreciated the support of their park manager. Sometimes I have an appointment and this is where [the park manager] helps me out. I always give her my appointment dates now and she comes over or gets [another resident] to come over to say, ”don’t forget you have to go”… Things like that I really appreciate (Jackson, a separated father). When asked how they made the most of having to live in a caravan park, many of the responses related to relationships and community life. The interviews demonstrated that residents need to balance the ability to “mind your business” with “getting to know” other residents. As I mentioned, residents appreciated the friendships they formed in the park and believed that it was important to meet other people in the park. I live here so I have to make friends don’t I. You pick your friends, I have about 7 friends on the park, good friends someone you can tell something to and they don’t repeat it. They can tell me anything, ‘cause they know I will keep my mouth closed (Kathy). As some of the residents highlighted, there are disadvantages to the closeness of park life. They can hear everything. I have a boyfriend and you know I brought him home once and the lady next door was telling me everything that we had done and “I could hear this and I could hear that”, and you have that aspect of it as well. As you know caravan parks have no sound barriers so that can be a disadvantage (Gay). Residents thus need to be able to maintain their sense of privacy and personal boundaries. I think it’s about being respectful of my neighbours you know I’m not too intrusive I don’t live in people’s pockets and I don’t drink with them. Cause if you start doing that you know you will get into the caravan park gossip line. I’m not judging them or putting them down but that can happen because when I lived at [another park] I did get involved. I was going through a bad time and I did get involved you know with drinking with my neighbours and I noticed maybe that it wasn’t such a good thing because we were all so close together. You can do it with maybe a friend that you can trust and know really well you know, but otherwise it is not good to get too involved. Especially, because people may have drinking problems and if you start socialising too much with them you will get yourself into hot water (Gay). Two of the residents, both of whom took part in social activities or had friends in the park, said it was best to keep to themselves and not to become involved in community life. Oh I just pretty much stick to myself, I’m a bit of a loner in that sense…. The thing is I get my money’s worth here because I spend 99% of the time in my van nearly. Virtually the only time I go out is to walk to the library or just go for a walk or go and use to toilet or have a shower (Jackson). A few of the residents also spoke about the danger of park politics and gossip, and one suggested that it was important to be able stand up for yourself. Don’t get involved in park politics, when they start saying things you just go back and close your door (Jackson). More broadly, some residents spoke about the importance of being able to adapt to living in a caravan park. I try and make it feel more like a home for them [my children], giving them a lounge room and a bedroom (Jenny, a 23 year old women living in the park with her partner and three children and was expecting a fourth child). Closely related to being able to adapt was having a positive attitude. Oh look, you have to live here so you have to come to some sort of conclusions and sort of half like it anyway (Alison). One of the first things I did when I came here – I had a lot of negative memories that made me feel negative… I started walking out of the caravan, looking at the sunrise early in the morning… and I would do this I’d go beautiful property (short pause), beautiful view (short pause), homestead in the distance (short pause), trees (short pause), sunshine, beautiful sunshine (pause), peaceful breeze blowing through the trees, beautiful trees, beautiful shade, beautiful grass. I would say right this is a positive; this is a level of success. This is what I worked for through prison (Luke). Although the interviews confirmed that life in caravan parks can be very difficult for families with children, they also demonstrated that the experience can be quite different for different families and that there were some benefits of park life in relation to children. We are hoping to move out (of the caravan park) around July, August because the baby is going to be born…. It is no place for a new born…. There is no room for the baby; we already have three in that room there and that’s already one too many It is better for Breanna better for older kids, playmates to hang out with. Not so good for little ones. Older ones can make friends. Breanna loves it, heaps of friends, heaps or room to ride her bike around (Jenny). I’ll probably move out of here just before Mason is ready to go to school. I’m quite happy here at the moment…. When he gets to that age, when he is more active and wants to run around everywhere. When he gets to school I want him to have his own backyard…. Once he’s at school I really want him to have his own proper bedroom… his own backyard, his own swings. Just basic stuff like that for him (Julie, a 29 year old women living in the park with her partner and two year old son). The sense of community meant that there was always somebody to watch out for children and to help them out. Someone is always falling over and hurting themselves or something like that but it happens all the time. It’s the fact that there’s not one of us who doesn’t rush to the aid of another one (Alison). When we start identifying and recognising the strengths of park communities it become easier to identify strategies for supporting residents. I want to conclude by discussing some principles of practice for supporting marginalised residents of caravan parks that grew from this approach. In many ways they are nothing new, you will probably have heard similar ones all before, but I still think they are significant. For more details about the principles see Supporting residents of caravan parks. Hunt, J., & Wegener, J. (2005). “Let’s find another place” The experiences of homeless families using caravan parks as crisis housing. Melbourne: HomeGround Services. Marks, A. (2008). Residents at risk: Stories of ‘last resort’ caravan park residency in NSW. Sydney: St Vincent de Paul Society NSW. Stuart, G. (2005). 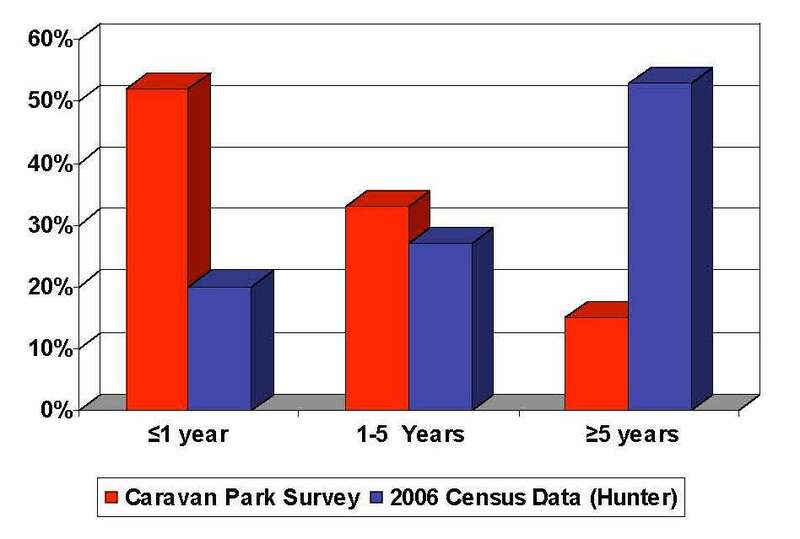 In beats living in a tent: A survey of residents in eight Lower Hunter caravan parks. Parity, 18(5), 17-18. Stuart, G. (2007). Supporting residents of caravan parks: Principles of promising practice. Newcastle: Family Action Centre. Wensing, E., Holloway, D., & Wood, M. (2003). On the Margins? Housing risk among caravan park residents. Sydney: Australian Housing and Urban Research Institute. This entry was posted in Families & parenting, Strengths-based approaches & ABCD, Working with communities and tagged Caravan Parks, Community building, For students, My publications, Strengths perspective, Trailer parks. Bookmark the permalink. Many thanks for this article which is very well balanced. I am a permanent resident in a caravan park and I love living in a caravan park and quite frankly probably will not go back to living in a villa or house again, even though when I did own my own villa (in partnership with the bank) I had lovely neighbours. To me the sense of community in caravan parks is fabulous and such that I had never really experienced before. I sold my home, decided to travel for a year, stayed at a caravan park in a lovely area and decided that’s it for the travelling. I bought my first caravan which was lovely, however, couldn’t live there permanently. Then I bought the caravan I currently live in and love it as I can live here permanently and the neighbours are fabulous and there is a real sense of community. The first weekend I arrived, my neighbours popped in to say hello and welcome to the park. Where else do you see this type of welcome other than in a caravan park. Another aspect that I really like, is because my neighbours, like myself, have limited incomes, they have heaps of ideas to share on various products and services which are cost effective. A complete bonus but one that really is great because I receive other ideas which will assist me to stretch my dollars further. In a sense, what is also a great aspect of caravan park living is because the NSW govt. restricts the number of permanent residents who can reside permanently in a caravan park, a lot of caravan owners own their caravans to simply stay for holidays, hence there is in many respects, especially in tourist season, lots of holiday makers who are simply staying to have a great holiday; hence gives a nice holiday feel to the park even if one is a permanent resident. I also love the fact that I own my caravan and nobody can take my home away from me, on condition I pay the site fees of course. I had to sell my home as I couldn’t afford to pay the mortgage long term when having to look for work, so I figured it was better that I sell my home rather than the bank take it away from me. I feel I have landed on my feet and yes whilst there can be some challenges, honestly the positives far outweigh any challenges and I am grateful I have such caring and fabulous neighbours. Once again many thanks for your article. Just one more thing – I don’t consider myself a second class citizen for being a permanent resident in a caravan park. I feel I have a home, great neighbours, am debt free without a mortgage hanging over my head, live on a million dollar property with a 5 minute walk to the lake and to the beach which I could never afford to do otherwise. Thanks for your comment Desley, it was great to hear from you. I was specifically speaking about people who had few or no other choices. There are many people who make a lifestyle choice and decide to live in a caravan park or a mobile home village – and for many of them it is a great decision. Much depends on the management, the park and the residents. Particularly when people can find a good park, I think it can be a wonderful option. It’s so good to hear about your positive experience. I’m really sorry to hear your don’t have anyway to live. I’m no longer working in that area so I’m afraid I can’t help. A lot depends on where you live. One place to start would be to ring Lifeline (phone:13 11 14) who should know what is available locally. This is an excellent article. We live on a country property which we would like to open a women’s refuge on. Strictly single women and children in need. I’m thinking as a charity. My question is how much do caravan parkes charge? We don’t want to make money, just cover expenses. Any advice would be greatly appreciated. Just like to point out one thing that is a major blunder. I am one of many people who will soon have no choice but to live full time in a caravan due to health problems so bad that I had to use the Super I had put in to my accounts before I was eligible to receive them normally. I did this so as not to take Govt money and did so for 7 years. I now have nothing in Super. I do have equity in my house but no chance of affording repayments once the wife retires even though I am self employed (my job makes around $24,000 a year because my health doesnt allow me to work full time). In order to survive 20 years, if I do live that long, when I retire, I wont be spending time in a caravan park. I will be sleeping in the caravan with car and moving from free spot to free spot as I can. Car and caravan, with the little money left over from sale of house and pension will be a lot more affordable than a house is. Caravan parks cost too much to honestly think about using more than one overnighter every 3 or so months and they are just as happy to charge pensioners exhorbitant rates and non pensioners because they seem to feel the pensioner is the idle wealthy part of society. Let me tell you, it isnt! I would dearly love you to do this same thing all over using today’s and the future’s reality. The way successive Federal Govts have pointed the finger at the elderly is like we are pariahs and things are getting worse. Only the other day it was brought up again that life saving huge expense operations are where most of the “wastage” is spent these days and they question the “economic reality” of providing even a pacemaker for a person who may only live 10 more years. The alternative is to let them die but they even disallow that same person the right to euthanasia. Tell me WHERE in Australia to live where I will be able to park my car and van full time and not make me feel like the mining industry has just coal seam gas fracked my wallet! Please! When hot summers hit while in a van I will need 240V for the air conditioning but I can neither afford to constantly be in a caravan park or constantly run a generator. I am not just one person either. I am one of a growing band of people put into this position by circumstances beyond our control and the uncaring attitude of Govts who complain about the cost the elderly put on the nation while handing out $3000 baby bonuses to healthy people, paying for child minding etc. Where ARE the priorities these days? They certainly aren the right way around. Even some countries we DENOUNCE treat their elderly better than we do. Many caravan parks are no cheaper than a unit so yes it is necessarily a cheaper option. Sometimes they are a bit cheaper if you stay longer, but they still aren’t cheap. Over the past decade or so, more and more parks have been upgrading (often to manufactured homes) or no longer accept families or people who have no where else to live. I’ve been quite concerned about where these people are going. The Family Action Centre is increasingly working with families who are having to live in motels and it is no longer rare to hear of people who are living in their cars. As a rich nation I certainly believe we can do better providing accommodation to people who need it.